Indian Elections is Rural+ and Traditional Advertising does not work here According to the census, 69% of India lives in rural areas. For Indian electorate, rural registered voters are a lot more likely to show up to exercise their franchisse. So the rural vote share is much higher than 69%. For Indian elections therefore, the game is how to engage and persuade rural populations, a practice that is not the mainstream concern for traditional marketing and advertising where the core markets have mainly been urban. Hence there is a need to look for fresh ideas and marketing channels where the core is rural. IVR is one such channel, whose effectiveness is strongest in rural markets. Local Language is the key As one goes down the population pyramid, down from the urban metros, one goes from a functional use of English to an extreme splintering of regional Indian languages. There are 22 officially accepted languages in India, and for any reasonable pan-indian outreach campaign one would need at least 10 to cover most territories. This requirement cannot be compromised on, a voter in a rural district in Telangana can only be expected to get your message if it’s in Telugu. IVRs have the native ability to be able to play different languages to different parts of the country. Feature Phones still rule From our vantage point smartphones and mobile apps, it’s often hard to believe that there are Indians who do not have a smartphone or know how to use one. But you better believe the numbers: Internet and smartphone users in India total only 150 million. There are many smartphone owners who do not know how to use their “smart” features. From a political engagement point of view, your core mobile strategy has to be based on feature phones. Once again, this is a native strength of IVR, ie it is centred around a feature phone function. IVR is measurable, testable thus accountable Every call made out can be measured in terms of length of call, time of day, knowing if the consumer has heard the main message. 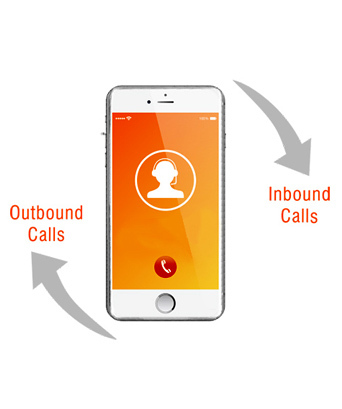 IVR outbound calls (OBDs) can include a call to action, like answering a poll or recording their voices. All of this can be organised into a database and presented as easy to read reports. This makes outreach investments accountable. Moreover, IVR allows a quick testbed to test messaging hypotheses. If there are multiple creative routes or messaging styles, the best way to settle the debate is to deploy them into the field and watch how people interact with them. IVR can be both engaging and cost effective and free for the end-user IVR can be set up free for the end-user. All she needs to do is give a missed call and she gets a call back. At a longer engagement period, it is comparable to any other one to one communication, and can be proven to be most effective in non-urban populations. Finally, dispel the notion that IVR voice content is dry; it can be very engaging in the form of episodic content or even recording the voices of regional influential people or politicians. If you need to hear samples of what is possible, please get in touch with the TechMobia team and we will be happy to demonstrate some use cases.